Entry by 4N1M3F4N on Sun Dec 16 04:03:28 2012. I really like this design of Nyotalia Spain. I mean, the original one does look beautiful but how she seems...Less cheerful in the original just gives me a strange feel about it. Yes, I do know that the Nyotalia characters are supposedly different in both looks and personality than the original, but it just feels off to see Spain like that. 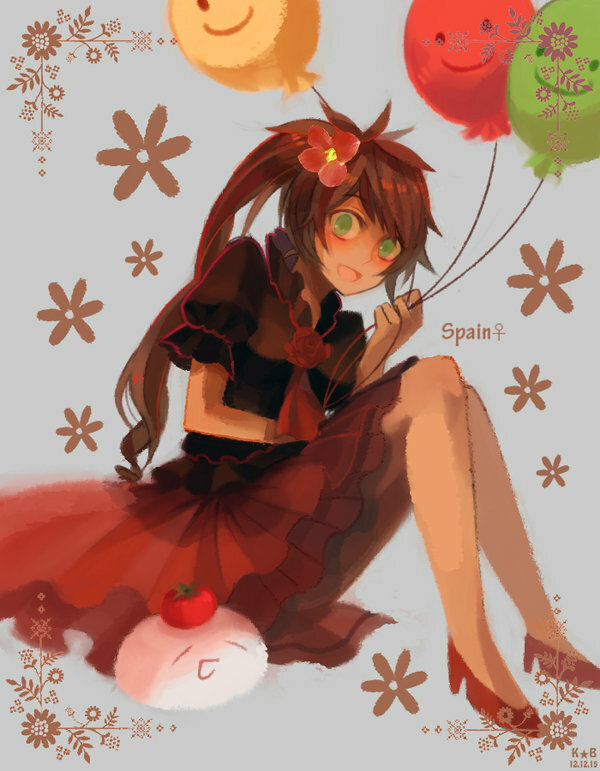 This one fits the original Spain more, and it feels nice to see a cheery Nyotalia Spain just like this one.